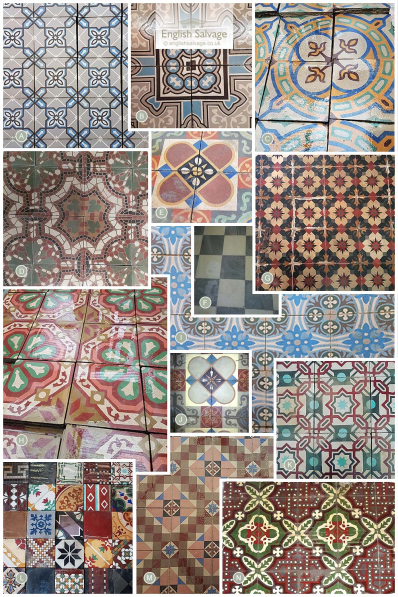 We are able to source a wide range of patterned cement tiles with borders. Minimum order of 15m2. Please refer to the examples shown in the photo and contact our sales team with the quantity, tile size and style you require. 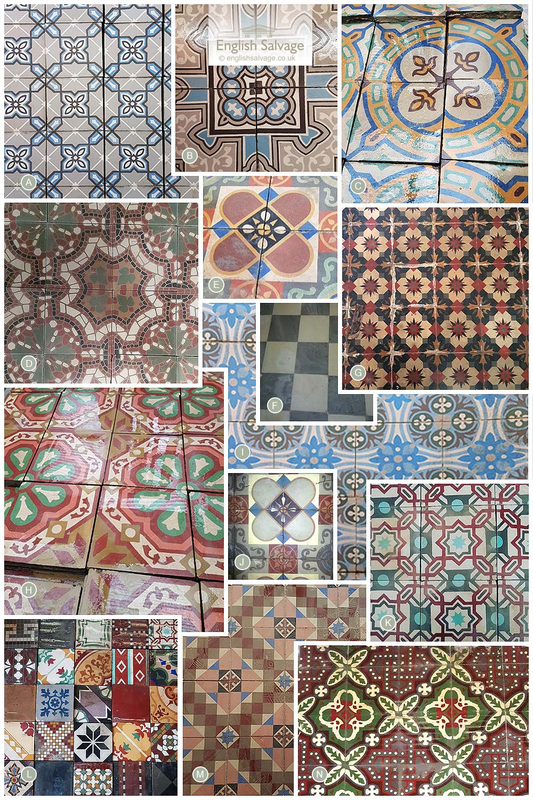 We will then respond with photographs of available tiles close to the design and colours you require. Most of these tiles have been put through a machine to cut off the back cement so they are generally clean, with a few chips to edges.